The guys over at Earnest Endeavours have done it again. Their latest event has been announced and it’s a banger, no question about it. 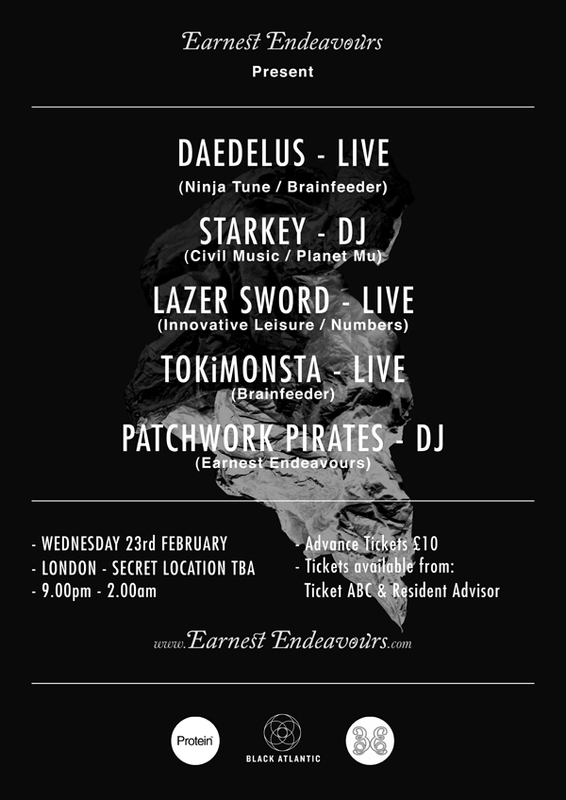 Taking place on February 23rd at a secret venue in Hoxton, East London, the event will feature sets from Patchwork Pirates and Crossfire favourite Starkey as well as live sets from Tokimonsta [who is in our Albums of 2010], Lazer Sword and Ninja Tune’s Daedelus. All this for just 10 quid, we’re really being spoiled on this one. Make sure you grab your tickets from here before they all go and you spend your Wednesday evening watching the traffic lights change colour at the bottom of your road, rather than brocking out to the inevitably huge tunes dropped in Hoxton. Last year we had a monster supply of straight-up-no-messing-around FREE music for you all to wrap your ears around. Our Soundcloud become some sort of portal to a place where you could pick up music files and essentially sleep with them. OK, OK, really, it’s just a sort of music blog style thing where we gather a bunch of things that are available (and cleared artist’s themselves… no leakyjoes here I’m afraid) for free and round them up so you don’t have to sift through all the crap that stinks up Tumblr, WordPress and Blogspot on a daily basis. 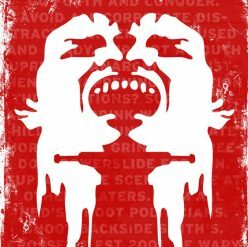 Here’s some bangers to kick start 2011. On a electronic and beat tip we have fist pumping beats and eclectic production from the likes of innerpartysystem and Andreya Triana who get the remix treatment from Starkey and TOKiMONSTA respectively. Bars, beats and big tings come from a selection of capable wordsmiths, including Nicki Minaj, Lil Wayne, Rittz, Yelawolf, Big Krit and Jaylib. Realness sans loops comes from La Dispute, And You Will Know Us By The Trail Of The Dead, Edward Sharpe And The Magnetic Zeros, Mogwai and Wavves. Get stuck in. Starkey has dropped a video for his bassy banger Robot Hands. The track is taken from his Space Traitor Vol. 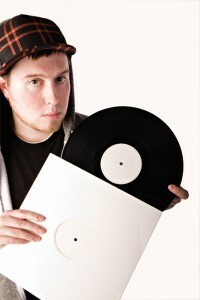 1 EP which is out now and proves just why people love the Philly producer so much. 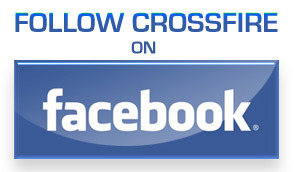 Turn the volume up and get read to involuntarily lose your proverbial. 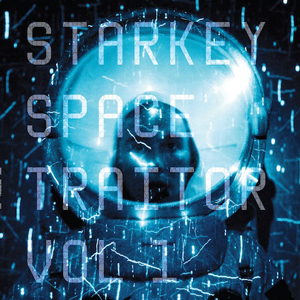 Starkey is always difficult to define with his innovative mix of grime, dubstep, hip hop and everything inbetween and with his new EP, Space Traitor – Vol. 1, he doesn’t make it any easier. Not that this is a bad thing, as opening track Robot Hands slams its way into the ether with his trademark heavy duty bass interspersed with moments of calm before the storm. Playing With Fire sees no let-up with a crashing drum introducing the track, laying the foundations for the crescendo of sound that follows, combining skittering hi-hats and empowering synths. The almost Hitchcockian film-score like strings of Holodeck again bleed into a bassline that demands full attention before showing his ability to switch styles with the much more relaxed Paradise with Anneka, who appeared on his album Ear Drums And Black Holes of this year. Starkey’s production ends with the almost Joker-esque Lenses before unleashing a torrent of remixes from the likes of Ital Tek, Rudi Zygadlo [with a brilliantly understated remix of Paradise] and Egyptrixx amongst others. Fans of Starkey will lap this up and certainly there are tracks on here that would have lifted his album to higher levels. As ever, he is fresh and worth space on anyone’s iPod.